We have now started regular devblogging, and this post will shed more light on fleet vs fleet combat in Rogue Ambassador. You can expect more info about our space fleet survival roguelike about every week or so. All comments, ideas and questions will be highly appreciated and replied to. Thank you and enjoy! 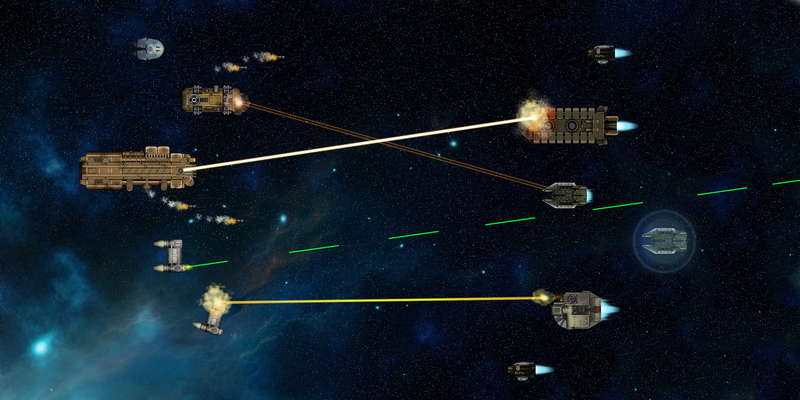 You start the combat with your fleet in the left and opponents in the right side of the battlefield. While the battle happens in real-time, the pace of the game is not frantic. Most of your ships move slowly and majestetically to leave you ample time to maneuver them into a better formation and pick optimal targets. The image above might give a bit speedier impression than is usual in Rogue Ambassador. Since weapons have generally quite long range, the game is more about choosing what to shoot rather than trying to dodge bullets or outmaneuver the enemy. 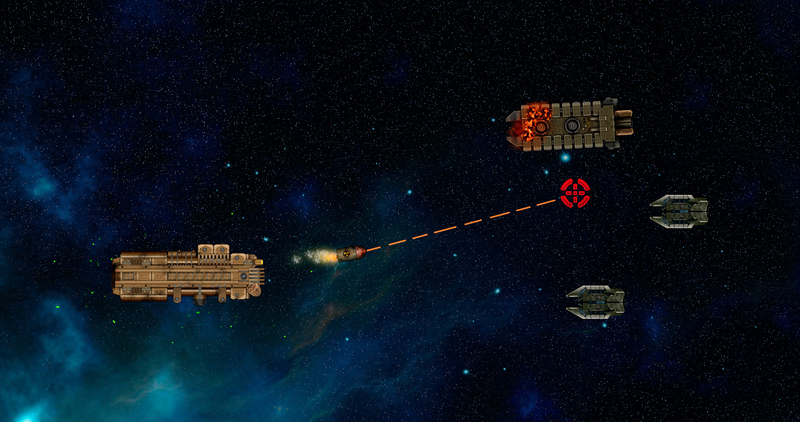 The weapons in the game generally fall into three categories: energy (lasers), kinetic (cannons) and missiles. 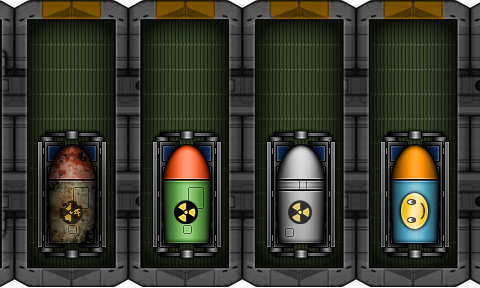 We decided to take a somewhat more realistic approach to energy shields - they will be stopping only energy weapons. Cannon and missile shots are slow enough (slower than light) to pass right through the energy barriers. Missiles can be shot down with point-defence weapons, and the only way to prevent damage from kinetic weapons is evasion. Luckily, evasion is boosted by your ships ECM (electronic counter-measures) and captains dodging skills. On the attacker's side, accuracy (which is pitted against evasion) is boosted by onboard battle computer modules and combat skills of captains. Have you ever experienced the amazing feeling of loading your very last nuclear missile from cargo into the torpedo tube and launching it against the swarm of enemy ships, spectacularly winning the battle from the brink of destruction? Well, capital ordinance does just that. Each capital missile takes an entire module slot and comes with a single shot only, but the explosion is big enough to damage or destroy several enemy ships in one shot. Nobody manufactures capital ordinance any more, since the entire intergalactic civilization is in ruins. Those that remain are highly valued and usually saved for the really difficult battles - which in Rogue Ambassador, will be about every third battle >=) We promise to stay true to the fairly ruthless brutality of roguelikes. If a ship receives damage despite it's energy shields, point-defence weapons and evasion maneuvers, the damage is substracted from it's total HP (which already includes armor. Better armored ships have more HP) but can also damage some of the modules the ship is equipped with. An attack might damage weapons, engines or any of the miscellanneous components the ship is carrying. Hitting a fuel tank or armed nuke migh blow up the whole ship. Other modules can be either damaged or destroyed, and must be repaired before they can be used again. If any of your ship modules get damaged, you can switch on the internal view, showing which modules are damaged, destroyed or being repaired. 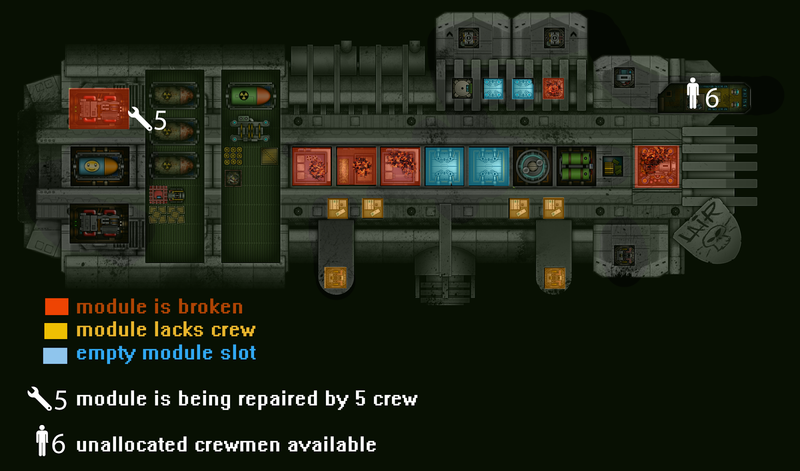 In addition, you can assign crewmembers from crew space or other modules to speed up the repair of broken modules. This is of course only a fraction of all the cool things in battle (there will be also cool features such as ships with ramming mode, space monsters, escape pods, fighters, battle events, biomechanic modules etc) and we will continue describing it in the next post. Subscribe to our weekly blog-posts if you're interested how this game keeps growing. Hei, I like the artstyle. Nice and detailed. How does the gameplay work out? One player controls entire fleet or one ship? So I was thinking here, how will the control scheme work out for controlling multiple ships(entire fleet)at a time? Will it be like RTS standard, like Age of Empires and other such games. Thank you for the kind words! The player controls her/his entire fleet via RTS style commands (including facing of the ships, since some weapons have limiter firing arcs). However, as most of the weapons will have quite long range (as one would only expect from spaceships of the future), the player does not have to fly into the face of the enemy, but can usually direct their fire at enemies from afar, taking time to concider optimal targeting, positioning and other tactical choices. Space combat games are the ones which were most popular in the last century ending decades. Its appreciable that you are doing blogging on such gaming niche. Well done and keep it up!